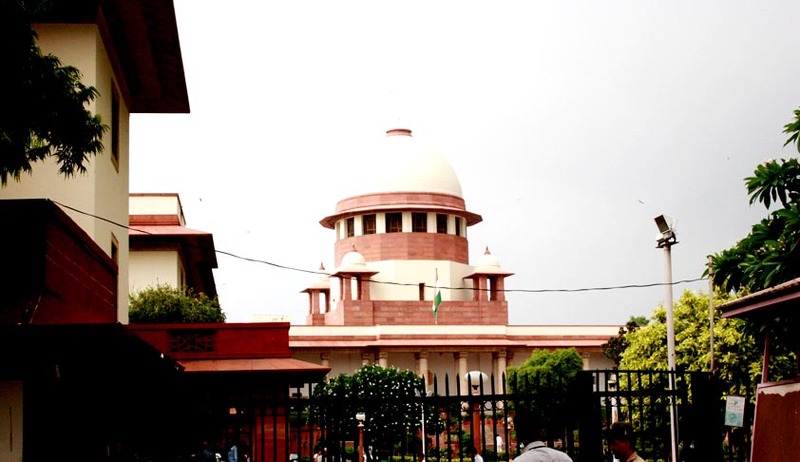 The Supreme Court on Monday has granted bail to accused Manoranjana Sinh, estranged wife of ex-Union Minister Matang Sinh, in the multi crore chit fund scam. The 50 year-old former journalist was arrested in October 2015 but has been in different hospitals time to time due to various ailments. Her bail was subjected to deposition of Rs One crore and on furnishing of two local sureties each of the like amount to the satisfaction of the Additional Chief Judicial Magistrate Alipore, Kolkota. In addition, the Apex court has imposed a slew of conditions on her including surrender of her passport before the trial court. She was directed not to leave Kolkata without the written permission of the trial court and without informing the investigating agency. Further, she was ordered to report to the trial court and the investigating officer once a month, till the investigation in the case is completed in full. The trial court was given an opportunity to slap any other condition it considered to be appropriate as and when necessary. Manoranjana was warned by the court to face consequence of cancellation of the bail in case she failed to comply with its order. In the meantime, the investigating agency was directed to keep continuous vigil in the matter so as to, if need be, bring to the notice of this Court any conduct or action of Manoranjana warranting recall of this bail order. Seeking bail on medical ground, Manoranjana’s lawyer senior advocate Amrendra Sharan, Assisted by advocate Amit Kumar, had argued that since her arrest in October 2015, she has been suffering from various ailments and the probe agency has admitted her in various hospitals. “The Petitioner (Manoranjana) was suffering from multiple ailments and has been operated twice during here incarceration. The medical reports placed before the Hon’ble High Court issued by the hospitals clearly showed that the Petitioner required admission and the Petitioner cannot be held guilty for her admission to the hospital on account of multiple ailments. The Petitioner has been admitted in the hospital pursuant to advice of Medical Officer of Jail..,” the bail plea said. On October 7, 2015, Manoranjana was arrested along Santanu Ghosh, a Kolkata-based businessman, in connection with the Saradha chit fund scam. It was alleged that she entered into an agreement with Sudipto Sen knowing that the money he proposed to invest was ill gotten. She had obtained the money to launch a Tv news channel in north east region to campaign in favour Sharadha chitfund scheme. The agency had registered the case on June 4, 2014 in accordance with the Supreme Court order on May 9, 2014 against the then CMD of Saradha Group Shantanu Sen and others under sections pertaining to criminal conspiracy, cheating and other offences. It was alleged that the accused persons of the Group of Companies collected huge funds from investors under various investment schemes by fraudulently promising them high returns but failed to pay the amount to them and thereby cheated them.